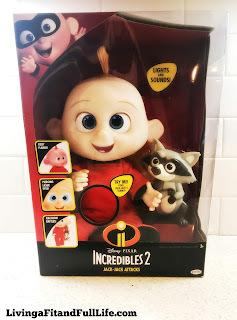 Little Jack-Jack is full of surprises and no one knows what to expect from him, especially when he can go from spontaneously combusting and shooting lasers from his eyes to just being adorable in the blink of an eye! Recreate the most epic battle of all time as Jack-Jack takes on the Backyard Invader! Press on Jack-Jack's tummy and watch him "attack" with all his might! Power Couple is the Ultimate Team! Use Mr. Incredible's super strength to slingshot Elastigirl into the fight and save the city! 12-inch scale figures. Load, Pull Back, and Go! Move Mr. Incredible's arms to activate sounds. Lock Mr. Incredible's arms into position to launch Elastigirl. 45 plus sounds including the voice of Mr. Incredible and Elastigirl. Includes 1 Mr. 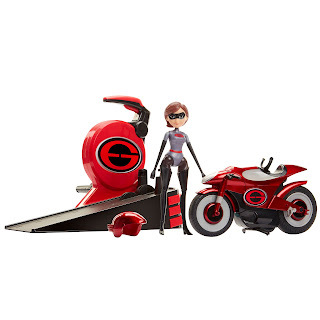 Incredible, 1 Elastigirl figure that stretches, and 3 targets. 12-inch scale figures. 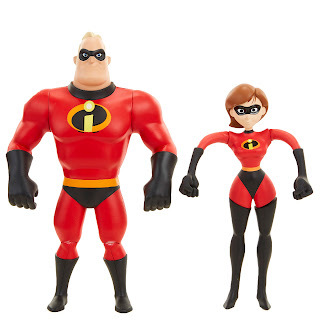 Celebrate the new Incredibles 2 movie with the hottest toys from JAKKS Pacific that kids will love! My family and I loved the first Incredibles movie so we can't wait to watch the new Incredibles 2 movie that comes out tomorrow. My kids have been counting down the days but luckily we had these amazing Incredibles 2 toys from JAKKS Pacific to help pass the time! JAKKS Pacific Incredibles 2 Jack-Jack Attacks is so fun! My son who is three just loves this thing. He pushes on Jack-Jack's tummy and runs around the house pretending to take on the world. 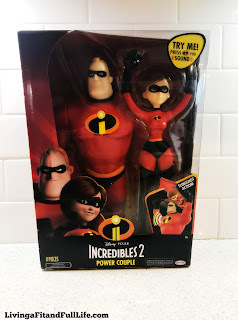 Incredibles 2 Power Couple from JAKKS Pacific is another super fun toy! My kids and I love to slingshot Elastigirl into fight. It comes with three target to take aim at and also includes 45 plus sounds to keep the fun going all day. 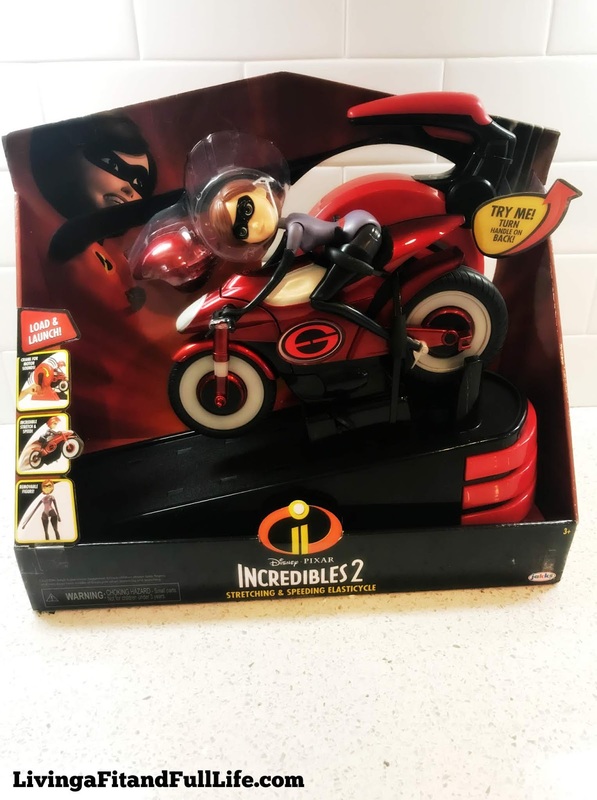 Incredibles 2 Stretching and Speeding Elasticycle from JAKKS Pacific is a blast! Elastigirl can bend, stretch, and twist herself into any form which my kids absolutely love. Watching the Elasticycle speed away with Elastigirl out to save the day is super fun. My kids love to see how far it will go and have even set up a few obstacles to make things even more fun. These new Incredibles 2 toys from JAKKS Pacific are the perfect way to celebrate the new Incredibles 2 Movie!